A podcast all about FRIENDS! Dan and Josh have never seen Friends, Rebecca has. Now, each week, these 3 friends will watch an episode and talk about it. 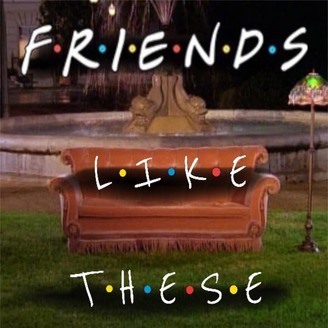 So join us for this incredible voyage of friendship as we get to know Ross, Rachel, Joey, Monica, Chandler, Phoebe, our friends and yours. Produced by Daniel Perlmutter (@DSPerlmutter) and David Reale (@davidreale) - For updates and show news follows us @FLTpod. 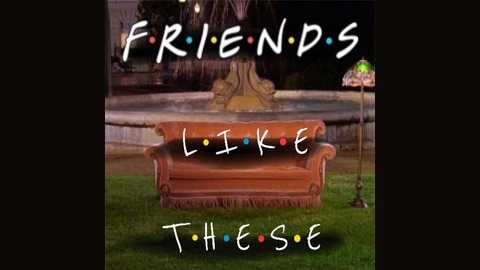 It's FRIENDS season 2, episode 14 - The One Where Ross and Rachel... You Know - and the title kind of says it all: Ross and Rachel have their first real date, while Monica has a date of her own, with a distinguished older doctor. Meanwhile, Joey and Chandler sit in some comfy chairs and Dan, still in Minnesota, is joined once again by Maddy to talk all about this very special episode, and what it meant to her as a child. Special thanks to Lorna Wright.